Marking the start of the joint exhibition and event series, the Kunsthaus Dresden presents the work of one of the most influential personalities of the Polish art scene after the end of World War II, Marian Bogusz (1920-1980). His work is based on the idea of an artistic modernism as the driving force of societal developments, combining literature, painting and music, as well as science and technology. While he was incarcerated in the Mauthausen concentration camp, Bogusz already envisioned an architecture for an international artists’ colony on the ruins of the camp. 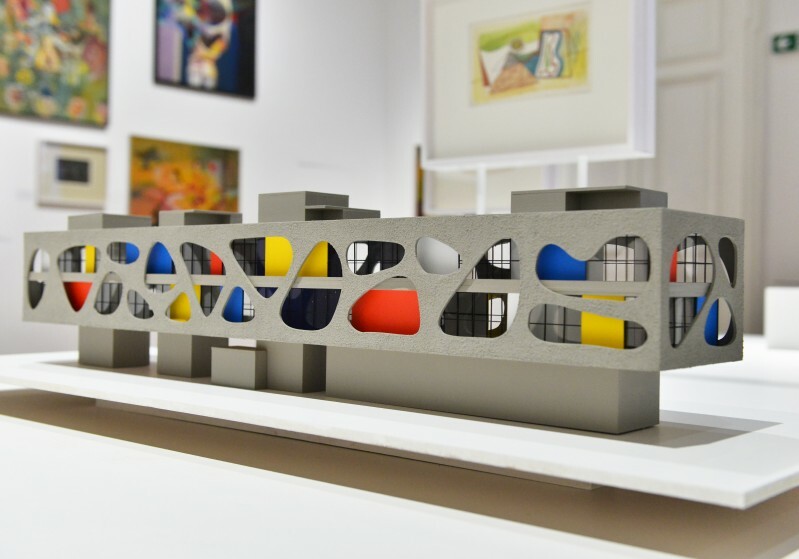 In addition to a selection of paintings and graphics, the exhibition focuses on Marian Bogusz’ modern visions at the intersections of painting, sculpture, architecture, and urban planning – and on the hope that art can lead to social transformation through aesthetic changes. "The Joy of new constructions" is an exhibition by Zachęta - National Gallery of Art, Warsaw. Funded by the Homann Stiftung. In the frame of the exhibition series: "Freiheit zur Freiheit", part of the project "Freiraum" by the Goethe-Institutes.